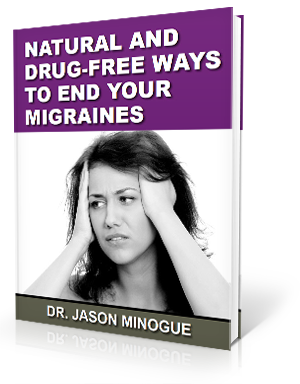 If you have chronics migraine headaches you know how they can cause physical pain, vision and hearing disturbances, nausea and even vomiting. These are the hall mark signs of migraine headaches, which affect as much as 10% of the population. Migraines typically affect people from the age of 25-55 years old, and are more common amongst women. Excluded from the common signs and symptoms is the emotional anguish. Emotions are created in an area of the brain known as the Limbic System which can influence powerful chemicals to change mood and how the body feels pain or pleasure.1 A new study looking at the relationship between emotions and migraines is using a new treatment approach to the challenging health condition that affects so many, Twitter. Twitter is a social media network commonly used throughout the world. Roughly 44 percent of tweets reported that migraine attacks immediately impacted mood. The most common migraine descriptors were “worst” at nearly 15 percent and “massive” at 8 percent. Females accounted for about 74 percent of migraine tweets; males accounted for 17 percent. The higher global peak of migraine tweets occurred Mondays at 14:00 GMT, or 10 a.m Eastern Daylight Saving Time. In the U.S., migraine tweets peaked at 9 a.m. and 8 p.m. on weekdays. The morning tweets peaked later on weekends. The U.S. accounted for 58 percent of migraine tweets, followed by Europe at 20 percent. The act of expressing emotion on Twitter allows the brain modulate the way pain is perceived in the body. Wikipedia. Limbic System. http://en.wikipedia.org/wiki/Limbic_system (accessed 1 May 2015).